So, time totally got away from me and I realised that my draft post for my review of the Feb Flitwick's box never posted *sad face* so I've decided to combine my Feb and March post instead! Flitwicks is a subscription based company that costs $12USD + shipping per month (they do ship internationally!). Inside each box are three pieces of jewelry, usually a set of earrings, a necklace, and a ring, based around a certain theme. The jewelry is what I consider 'costume jewelry', so it's not something you'd necessarily wear every day, but it's awesome to dress up with or to compliment a certain outfit. I'll explain each month separately but in order! Flitwick's Feb box's theme was 'I ♥️ You' and is super cute! 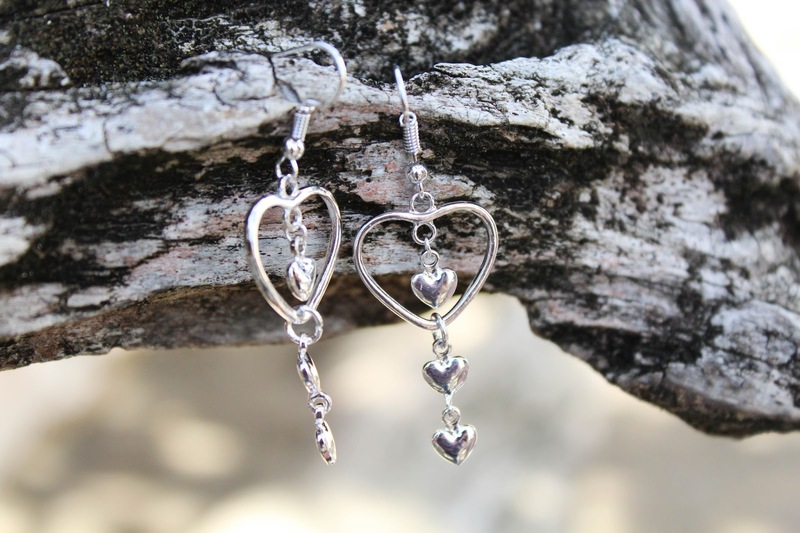 First up we have these adorable three tiered heart earrings, I personally wouldn't wear something like this one a day-to-day basis BUT I'm all for wearing themed earring for certain holidays throughout the year, so these were definitely worn on Valentines day and will be worn next year as well! 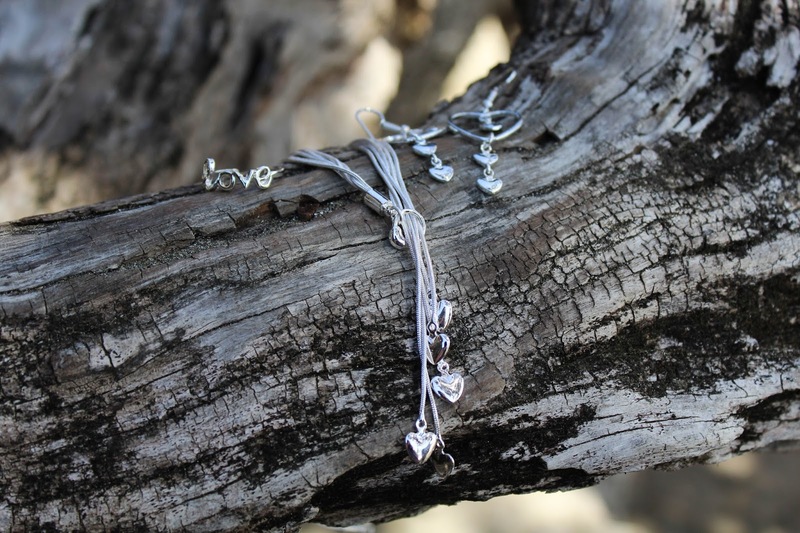 Also included was this necklace (that matches the earrings really well, but might be a bit too much together)! This necklace was really interesting because the circle that's over the hearts moves? So you can change how it sits when you put it on, pretty neat! This final item was my absolute favourite! I love, love, love it! 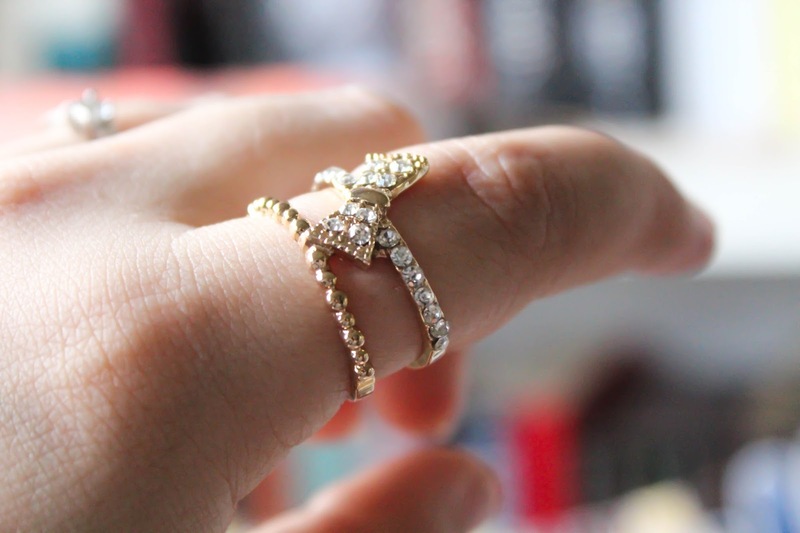 (hehe, excuse that, it was definitely an accident) -- The ring, as always, is adjustable and I wore it every day in Feb (who cares that Valentines Day is in the middle, right?) This has quickly become something that I put on before I head out of the house because it's just too darn adorable! The Feb Flitwicks box wasn't my favourite ever overall, but it did contain the best item I've ever received from them so that's definitely a win. 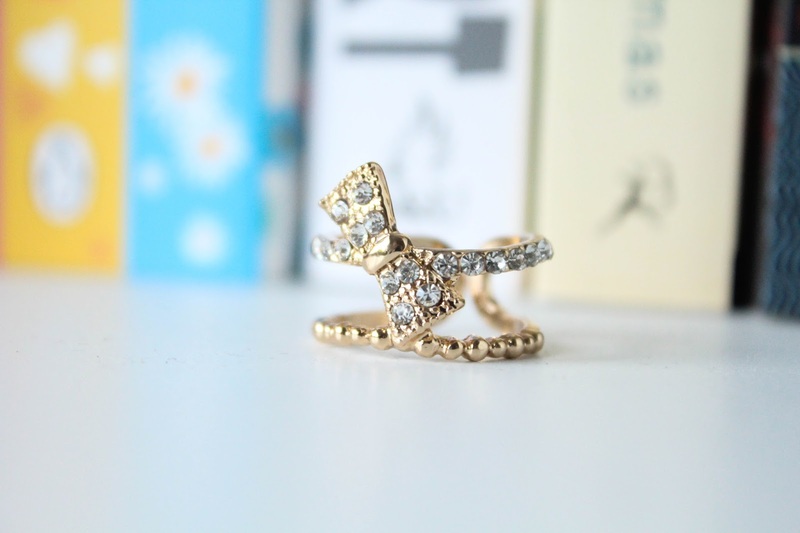 Seriously guys, I love that little ring. The weather has been very mean to us lately, so I had to awkwardly photograph these items on my shelf! March's theme was 'Bows' which is adorable. 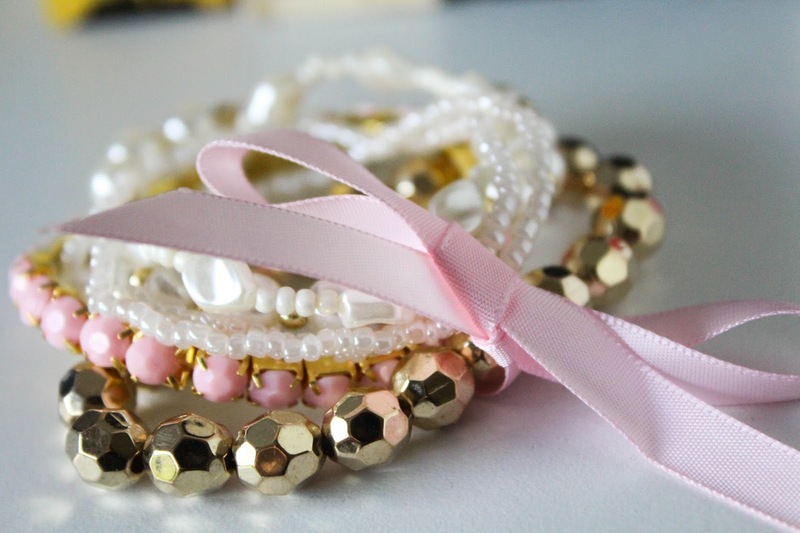 The first item I pulled out of their always pretty packaging was this bracelet, which is stacked with a few different styles but are tied together with a bow. I don't think I have an outfit that I could wear this with BUT I would definitely put it in my dress up draw to wear for certain bookish characters. *You totally can't tell this is a necklace, nice going Lauren! 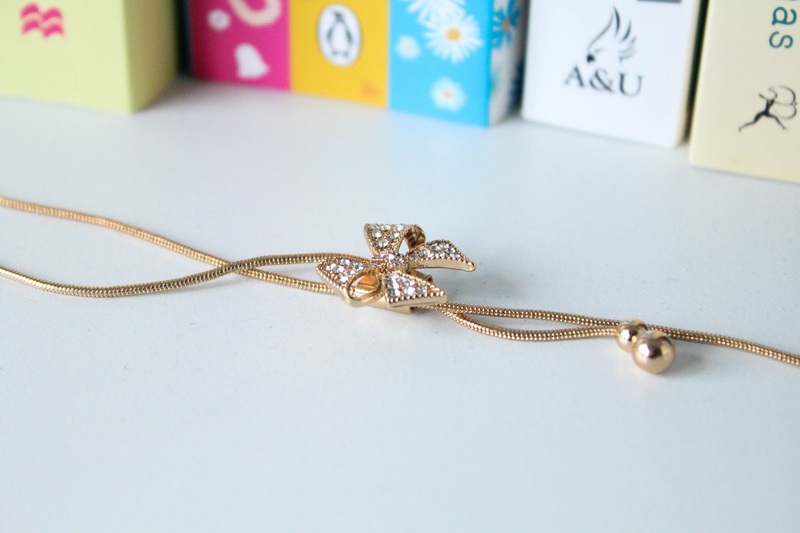 * Also included was this necklace which is a super simple little bow on a gold coloured chain. I really like this item for it's simplicity and would definitely wear it. 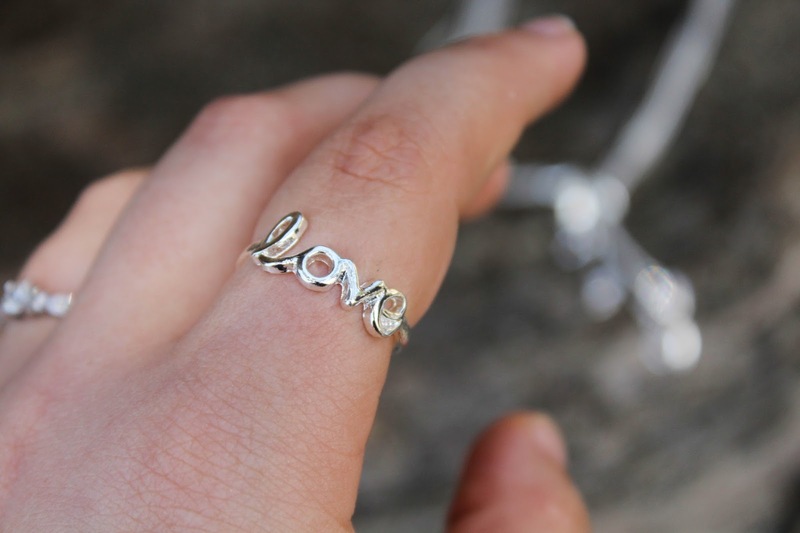 And last, but not least, is this sweet little ring! Again, it's adjustable, as is every ring included in the Flitwick's boxes, and is a gold colour! This is also an item that I will be wearing, it's just too adorable to pass up. 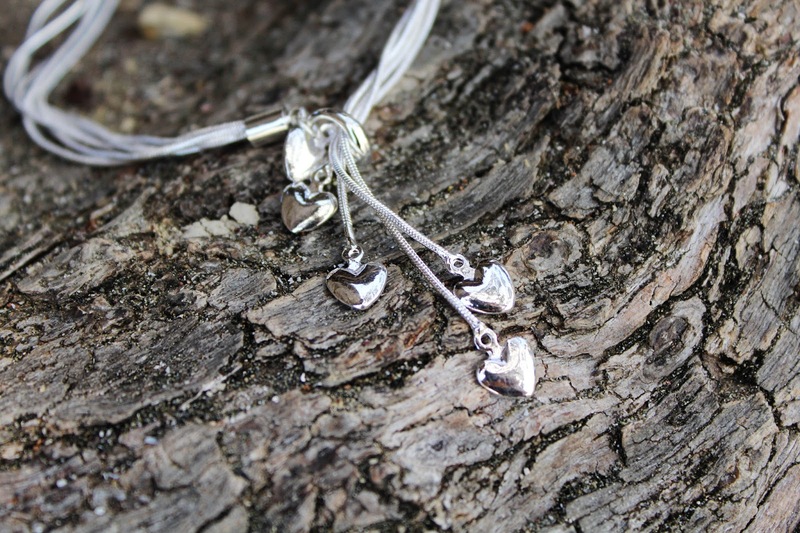 April's theme is 'April Showers' and we've been shown the necklace for this month's theme here if you want to see a sneak peak! 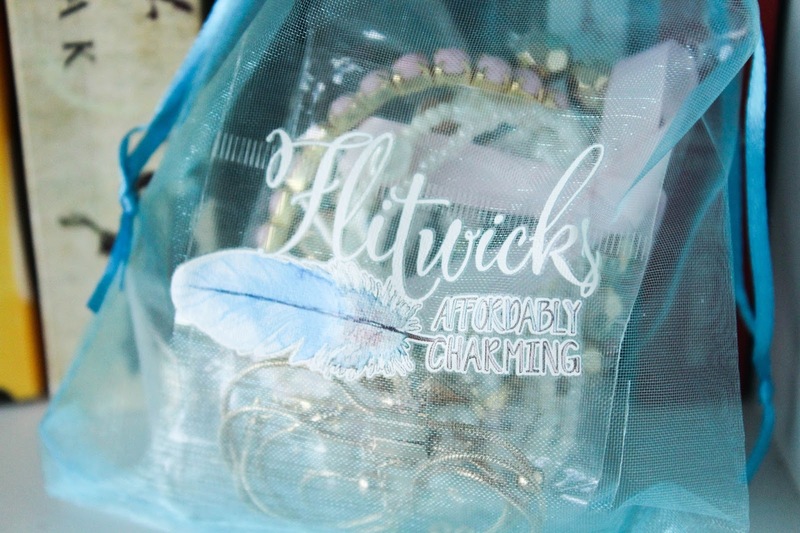 Personally, I love Flitwicks boxes, mostly because I'm not one to go out and buy myself jewelry, especially items that you wear just with certain outfits! Flitwicks has expanded my jewelry box so much and I freaking adore Erin and Missy for providing me this box to review each month! As always, make sure to check out all of Flitwicks social media sites so that you can see sneak peaks, participate in giveaways, have the chance to buy past boxes, and so much more! I'll also link their website down below so you can sign up for yourself! Sorry that these posts had to be crammed together, I hope that you enjoyed it anyway!